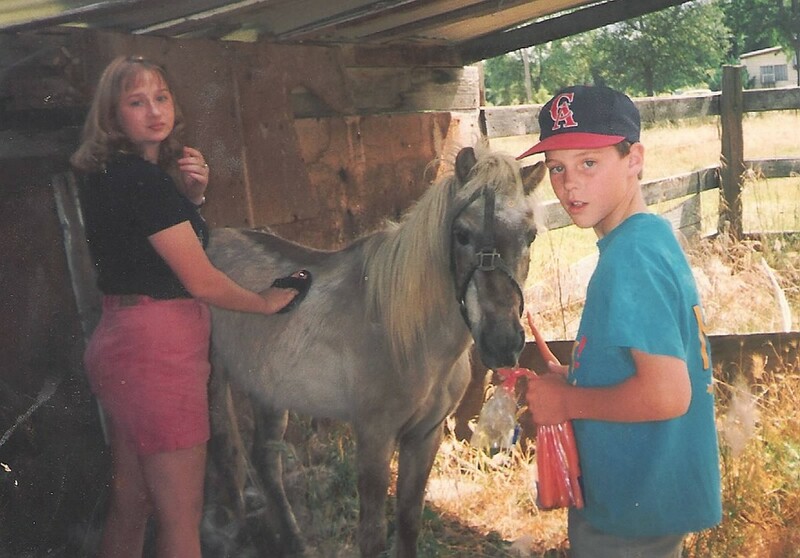 Growing up on a small farm, with about every animal imaginable, I learned a lot about respecting animals. 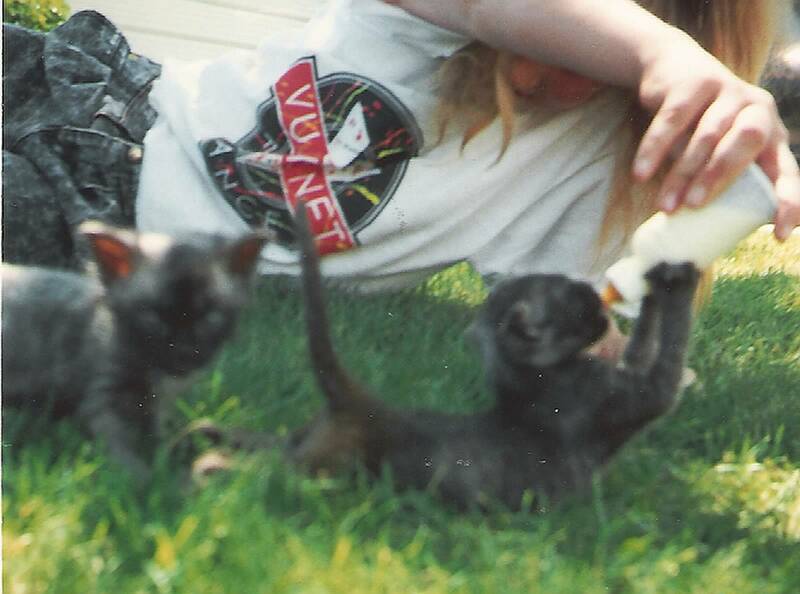 The first time I bottle fed a kitten I was 11, and my mother found a stray litter the mom left behind. Shortly thereafter a bunny came in our yard and died a few weeks later, so we had to bottle feed them as well. So I had a good understanding of raising animals (of all kinds) from a young age. I grew up with dogs and cats as well (of course) and, although we did not have a lot of money, our animals were well cared for. I appreciate that my parents taught me about what a huge responsibility (and at times financial burden) pets can be. For years, I have been bringing home strays and helping them to find homes; however, I have only been actually working in rescue since Sept of 2009 when I was asked to help a national rescue group with a local animal (I have a friend who is a rep in the south), and so the path was laid out. Unhappy with the restrictions placed on me by the group, I opted to start my own. I didn’t like that they only allowed me to rescue chained dogs, as there are all sorts of dogs in need and deserving of a second chance- so Recycled Pets NorCal was born. Of course, it is not all roses and butterflies, I spend almost all the time I am not at work doing rescue in some way or another. I take in a lot of sick or special needs animals meaning I often miss sleep caring for them, and spend a lot of my paycheck as well. Sometimes dealing with people can be the most stressful and frustrating part; however, seeing animals transform from broken shells, or sick puppies into healthy dogs, makes it all worth while. 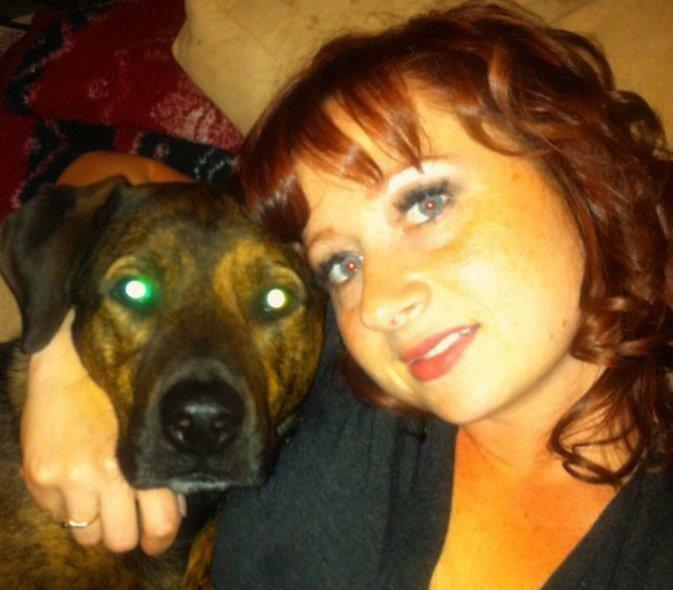 My own family consists of my husband and myself, 4 dogs (8 year old Shepherd mix, 8 year old Bulldog mix, 6 year old Pit Bull/ Rottweiler Mix and a young ChiWeenie, a 15 year old one-eyed cat named Remy. All of our animals are special needs (except the ChiWeenie who I say is the cat’s puppy) and my husband is always saying I like the “broken” animals. But I like to give animals a chance that might not have one otherwise. We have had everything from ferrets to water dogs, and I have even fostered Opossums, so I have an eclectic knowledge of animal husbandry. 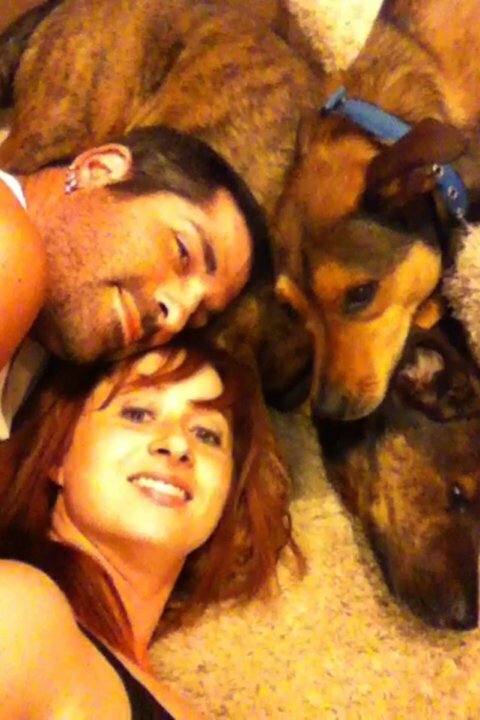 Elsie, husband Nick, Joey and Bruno.